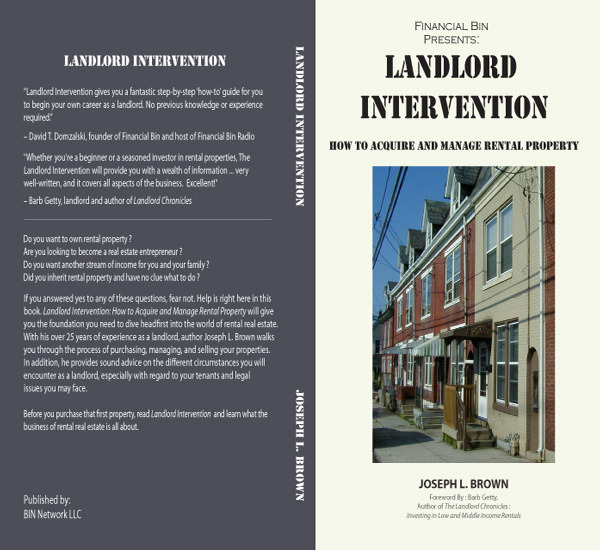 Financial Bin is PROUD to announce the release of our second book, Landlord Intervention: How to Acquire & Manage Rental Property, by Joseph L. Brown. Joseph has been a landlord for over 25 years and showcases his extensive knowledge in the pages of this book. Looking to become a landlord and have no clue what to do? Pick up your copy of Landlord Intervention and learn a thing or two about the biz. It’s available in paperback at Amazon or at our CreateSpace eStore for just $14.99. It’s also available for Kindle, Nook, iBooks, and Sony Reader for just $9.99! 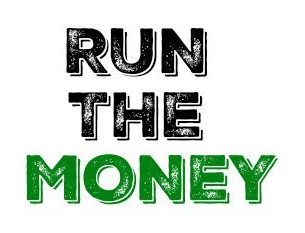 Trust me, you will get much more bang for your buck than any college class! Do you want to own rental property? Are you looking to become a real estate entrepreneur? Do you want another stream of income for you and your family? Did you inherit rental property and have no clue what to do? If you answered yes to any of these questions, fear not. Help is right here in this book. Landlord Intervention: How to Acquire and Manage Rental Property will give you the foundation you need to dive headfirst into the world of rental real estate. With his over 25 years of experience as a landlord, author Joseph L. Brown walks you through the process of purchasing, managing, and selling your properties. In addition, he provides sound advice on the different circumstances you will encounter as a landlord, especially with regard to your tenants and legal issues you may face. Before you purchase that first property, read Landlord Intervention and learn what the business of rental real estate is all about.